Bill Henry, Sr. is our Hot Yoga Instructor and Co-Owner of The Twisted Monkey. He has over 25 years of experience teaching yoga… proving yoga is for any body and any age. He is passionate about meditation and hot yoga and created his very own sequence of poses designed to give you a full mind and body workout. Bill opened his doors in 2002 and introduced N. E. Philly and the ‘burbs to Hot Yoga. He’s got everyone hooked! One class with him and you will understand what makes The Twisted Monkey so unique and everyone’s favorite Yoga Studio. Natalie Hodak was bit by the yoga bug when she started attending The Twisted Monkey in early 2009 with friends…she’s been hooked ever since! She graduated from our very first Yoga Alliance Teacher Training in 2015 and currently teaches on Wednesdays. During both of her pregnancies, Natalie loved teaching our Prenatal Yoga classes! When she is not attempting to put her leg behind her head (which still hasn’t happened) or perfecting her eagle, Natalie spends time with her husband Jason, their two kids Lily and Jacob, and their dog Beau. Stephanie started attending classes at The Twisted Monkey in 2013. Her journey began in hopes of finding something to help release stress form her high demanding job in outside payroll sales. After the first class, it was clear that yoga was going to become a huge part of Stephanie’s life. She is someone who has always been athletic and active. Yoga offers more than just physical fitness, however. It offers her an opportunity to learn more about her body, breathing techniques, and spirituality. This passion led Stephanie to become certified in 2015 through our Teacher Training, along with teaching our “Hot Vinyasa Flow” class on Tuesday nights and Vinyasa on Thursdays. She really enjoys sharing the things she has learned with others and loves the fact that in yoga the learning never stops. For fun, Stephanie loves spending time with her husband, Walt, along with their fur babies. Sarah McIntyre is a registered yoga instructor with Yoga Alliance and completed her certification at The Twisted Monkey in 2015. She works full-time as an Accounting Director and yoga is her personal source of balance. She enjoys sharing the techniques that help her unwind, detox, and find calmness in daily life. Sarah believes yoga is a journey to become a healthier, more patient, and all around better person. Yoga is more than the study of perfection in a pose; it is about finding yourself along the way. Tanya started practicing yoga at home in 2012 to relieve stress. Soon she started taking classes at her local YMCA and fell in love. She loves what yoga does for her on and off the mat. The balance, strength and flexibility it brings to her life is evident not only on the mat, but in everything she does. She decided to teach when her youngest child started school full time. Tanya completed her 200 hour teacher training in 2015 at The Twisted Monkey, where she feels most at home. She believes that breathing and meditation go hand in hand with a strong asana practice. When she’s not teaching yoga, Tanya is a full-time (soccer/baseball/basketball) mom to Angelina and Jacob, and wife to Mark. She also volunteers at her children’s school. Kimmy has been attending The Twisted Monkey for several years and her love of yoga led her to join our Teacher Training program in 2015. In her classes Kimmy aims to help students reestablish the connection between mind, body and spirit. Kimmy also has a background in dance and gymnastics and working with children. She is also a seasonal organic farm worker and loves anything health and fitness related. As a personal trainer, and health fanatic, Ashley believed that yoga was one of the puzzle pieces missing from her resume which brought her to The Twisted Monkey’s teacher training in 2015. She shows her passion for helping people by sharing her experience of holistic healing and teaching others how to find their own path and become more self-aware. 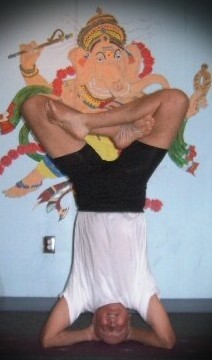 You will find her yoga classes largely focus on proper body alignment and simply “being present” in each asana (pose). You’ll also find her “hangin 10” on our Surfset boards for our specialty classes and workshops, as she is also a certified Surfset Ambassador and Master Trainer. Ashley is a mom of 2 kids (and 2 dogs!) and spends time volunteering in their school. She loves running and spending quality time with friends and family. Beth began actively practicing yoga in 2013 as a way to seek relief from a chronic pain issue. She soon found that a consistent yoga practice not only improved her overall physical health, but had a positive impact in all aspects of her life, including stress management from her high pressure job. She has been hooked on yoga ever since, and completed her teacher training at The Twisted Monkey in 2016. She enjoys teaching beginners and finds joy in offering new yogis their “a-ha” moments within their practices. Yogis attending her class can expect to experience down dogs and various hip openers, all to the tune of instrumental Beatles music! A natural klutz, Nina first tripped down The Twisted Monkey stairs (true story) for a Hot Yoga class in 2012. Inspired by Bill and the eclectic, affirming community, she knew she found her home. The self-study that yoga inspires on and off the mat has led Nina to seek a more conscious and dynamic lifestyle (and yes, a little more physical coordination). Now she strives to help others explore mindfulness through movement, and find empowerment, resiliency and healing in their own bodies. Nina is immensely grateful to Bill and Daniella for the opportunity to teach, and for cultivating a lighthearted environment that epitomizes Bill’s philosophy of progress, not perfection. Roxanne mostly practiced yoga on and off for 6 years at home until the chaos of the world began breaking her heart in 2016. After a few classes with Sarah and coming to the Twisted Monkey, she found healing that stretched beyond the physical and emotional. She soon knew she wanted, not only to receive this healing, but to give it as well. An injury caused Roxanne to leave dental hygiene. Shortly after becoming a certified hypnotist and starting her own business, she decided to join the teacher training program The Twisted Monkey. She is now passionate about serving those with trauma or in recovery through hypnosis, Reiki and yoga. Roxanne also loves exploring past lives with clients and teaching self love to those in need. You will find her teaching trauma sensitive classes, restorative yoga infused with Reiki or leading a workshop for Past Life Regression or stress relief. You may also find her participating on a mat next to you as she stays true to her own practice. Besides yoga Roxanne’s favorite place to be is traveling with her husband or at home with her sons, daughter and pitbull boxer Abby! Christine had always bounced in and out of the yoga world until she found the Twisted Monkey in 2016. “The Monkey” quickly became her home and her desire to deepen her practice continued to grow. This desire lead her to teacher training in 2017 and she now counts sharing her love of yoga with others, as one of her passions. Christine is a woman of many hobbies and is a world traveler, long time equestrian, a painter, singer and considers herself to be phenomenal bar company as she has a story for just about everything. Her classes are held in the spirit of loud music and fearlessness as Christine’s practice is about collecting experiences and channeling them into wisdom and a positive outlook. Alex Cifelli has been a committed student of yoga since May 2016 and finished training as an instructor at the Twisted Monkey in June 2017. During the day he works as an electrical engineer, but when he’s not working, or doing yoga, you can probably catch him trying to live out his rock dreams with a guitar. Before diving into a physical yoga practice, eastern philosophy always struck Alex’s interest. Over time he realized he could benefit from learning more about the depth of yoga and its many limbs. He started joining in on yoga classes and discovered he loved being able to embark on a personal practice while sharing the same space with friends. When leading, he likes to embrace diversity by giving different pathways for single asanas, oftentimes connecting breath with movement. Through practicing together, Alex hopes to walk with you on the journey, and cultivate the peace and growth we are granted each and every day. Jim has developed a passion for yoga since the first classes he took at the Ambler Area Ymca. He went on to train at Power Yoga Works in Malvern where he completed their 200 hour Teacher Training and became certified with the Yoga Alliance. He has since taught classes at Twisters Wellness Centers in Erdenheim and The Twisted Monkey. Jim’s inspiration to teach comes from seeing yoga practice as a catalyst to bringing desired changes in people’s lives. He likes to challenge his classes to take it to their edge without losing the spirit of child-like play. Rebecca is honored to share that she was one of Bill Henry’s very first students at The Twisted Monkey. Driving by his studio one cold evening in November of 2002, she spotted his old, wooden, hand painted sign that said, “hot yoga”. She started taking his classes and fell in love with his unique hot yoga sequence. Over the years, Rebecca has attended other yoga studios and many yoga and meditation retreats at Kripalu in Massachusetts, but has always found herself feeling the most comfortable at The Twisted Monkey. She was encouraged by Bill and Daniella to become a yoga instructor and completed her 200 hour training with us in the Summer of 2017. Rebecca is a registered nurse working in the emergency department of a trauma center as well as working in the Interventional Radiology department of a cancer center. She has a strong interest for the physiology of our human body and feels that yoga is the perfect medicine to achieve balance and healing within our bodies. Her goal is to be able to use yoga as an adjunct to conventional or alternative medical treatments. Rebecca truly feels that through yoga practice, self-care, inspiration, mindfulness, and humor that yoga will bring a greater awareness to both body and mind, which in turn will help individuals with virtually any health condition bringing homeostasis, healing, and peace to their souls. An on again off again yogi and former studio hopper, Pam came back to the mat and joined the teacher training program at the Twisted Monkey in 2017, where she finally found a home. Pam found her love for yoga after college as a way to get in shape and relieve stress from her day job as a clothing designer. She decided to pursue teacher training years later to learn more about the practice and to help others find balance in life. When not on the mat, you can find Pam teaching Crossfit and HIIT classes. Pam is a new mom to her son Liam (and to her cat and dog! ), enjoys all things DIY (though only finishes half her projects), and loves to taste test her husbands home-brewed beer and wine. Roseann Rossi, aka Rose, has been taking our yoga classes for several years, but joined The Twisted Monkey as our Pilates Instructor in 2014. Rose has been working in fitness for over ten years. She has trained under IFTA – Interactive Fitness Trainers of America, AAI – American Aerobics Association International, and Keiser M3 Indoor Cycle Trainers. She is certified in group fitness, personal training, indoor cycling and, of course, Pilates. Most recently she was certified in PiYo, a unique and effective fusion of Pilates and Yoga. She loves all types of exercise but feels Pilates and Yoga are practices that can be done by everyone at all stages of life. Rose is passionate about helping all who take her class to achieve their goals and increase their core strength and flexibility. Rose is also a school teacher and in her spare time she spends time with her family and continues to learn as much as she can about fitness. It truly is her passion!